The balance in this photo is very nice. 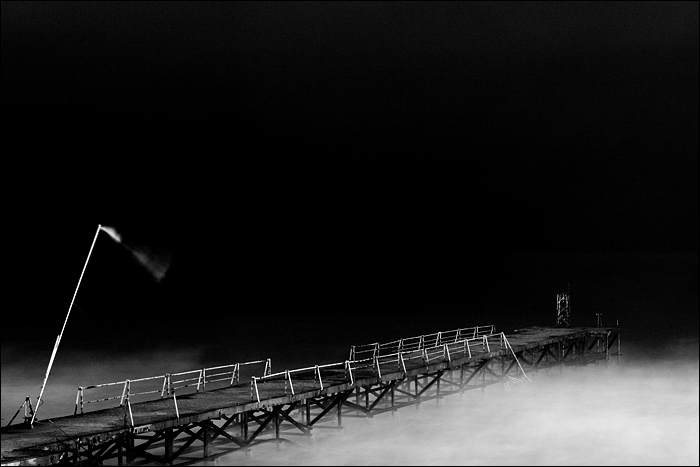 It gives me a eery feeling leading me off the edge of the pier into the darkness while the fog creeps in on me. really great composition. like the atmosphere in there. Salutare scrii bine te-ar interesa un schimb de linkuri cu siteul meu?